Do you have a concrete floor in your existing shop, garage or warehouse that needs to be resurfaced or replaced? Maybe you’re building a new shop and want to have a polished concrete floor installed so it’s nice to work in and easy to clean up? Depending on what the primary use of the shop or garage will be there are a variety of concrete mixes and methods we can use to make sure the concrete floor is perfect for your needs and provides the most value. Quality Contracting is a full service concrete construction contractor based out of Aurora, Colorado. We specialize in framing and pouring concrete shop floors, garage floors and floors for buildings with an existing structure on them. From small residential projects like a single bay car garage to automotive shops that might have 3000+ square feet of concrete flooring to warehouses that may have 5000 to 10,000 or more square feet of concrete flooring complete. 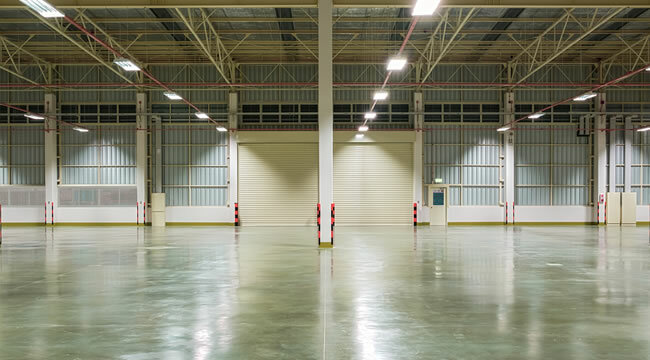 We are equipped to handle concrete flooring projects of any size and scope. If you are looking for a high quality concrete floor for your home shop, garage, warehouse or factory then give Quality Contracting a call today or fill out one of our online form to schedule your estimate.